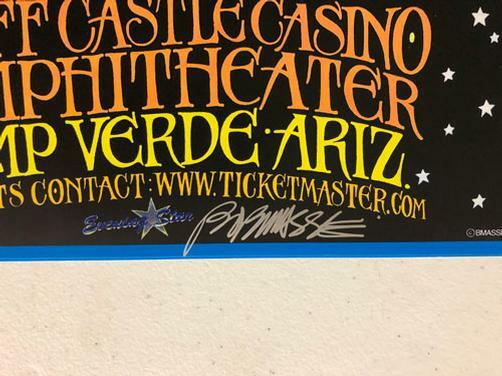 Original concert poster for String Cheese Incident at Cliff Castle Casino in Camp Verde, Arizona in 2000. 11 x 24.5 inches. Signed by legendary poster designer Bob Masse. Light handling marks and small corner bump.